Poquoson, VA – WeatherFlow closed out 2018 by adding several new weather-observing stations to its network. 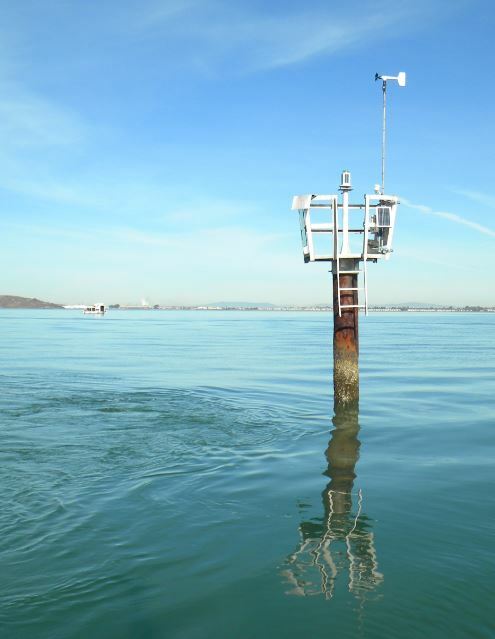 Along with the new weather station at Berkeley Reef in San Francisco Bay (pictured), new sites include Bristol Harbor, RI; Charleston Harbor, SC; Lexington Harbor, MI; Arroyo Laguna, CA; and Kihei, HI. The combination of WeatherFlow’s own datalogger and high-quality instrumentation allow for these weather-observing stations to be installed in even some of the remotest locations. For more information about WeatherFlow’s observing network, Contact Us.